Poor circulation can be uncomfortable, causing cold hands and feet, dizzy spells, and other unwelcome symptoms. Several health and lifestyle factors can contribute to poor circulation, but there are vitamins and supplements you can take to help improve circulation, as well as lifestyle changes you can make to promote good circulation and overall health. When poor circulation is caused by a health problem, other condition-specific symptoms may appear. If your symptoms are severe, occur for long periods of time, or interfere with any aspect of your life, you should see your doctor to rule out any serious health conditions. Poor blood circulation can be caused by a variety of medical conditions ranging from mild to quite serious. We know that being overweight or obese can cause a multitude of health problems due to the added stress on the body. Obesity can also be a contributor to vein and heart disease, which in turn negatively impacts blood circulation. When the heart is unable to pump blood effectively, circulation to the extremities is decreased in favor of circulation to the main organs. Women are more likely to have Raynaud’s Disease than men. In addition to Raynaud’s Disease, there are a variety of other conditions that affect artery and vein health, such as peripheral vein disease, peripheral artery disease, atherosclerosis, and Buerger’s Disease. All of these conditions can contribute to poor circulation. In addition to medical issues, certain unhealthy lifestyle choices can negatively impact circulation. Even people who exercise regularly can find themselves with poor circulation if they spend a lot of time sitting for long stretches without taking regular breaks to stand, move, and stretch their bodies. 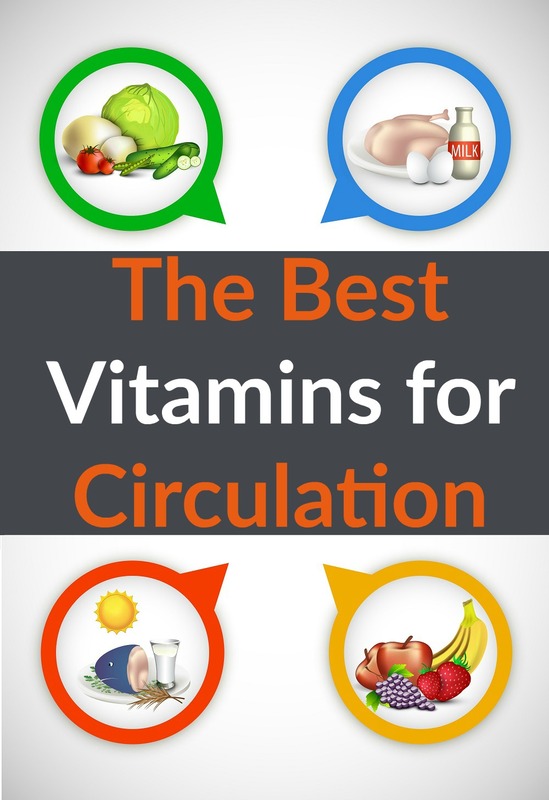 What Are the Best Vitamins for Circulation? 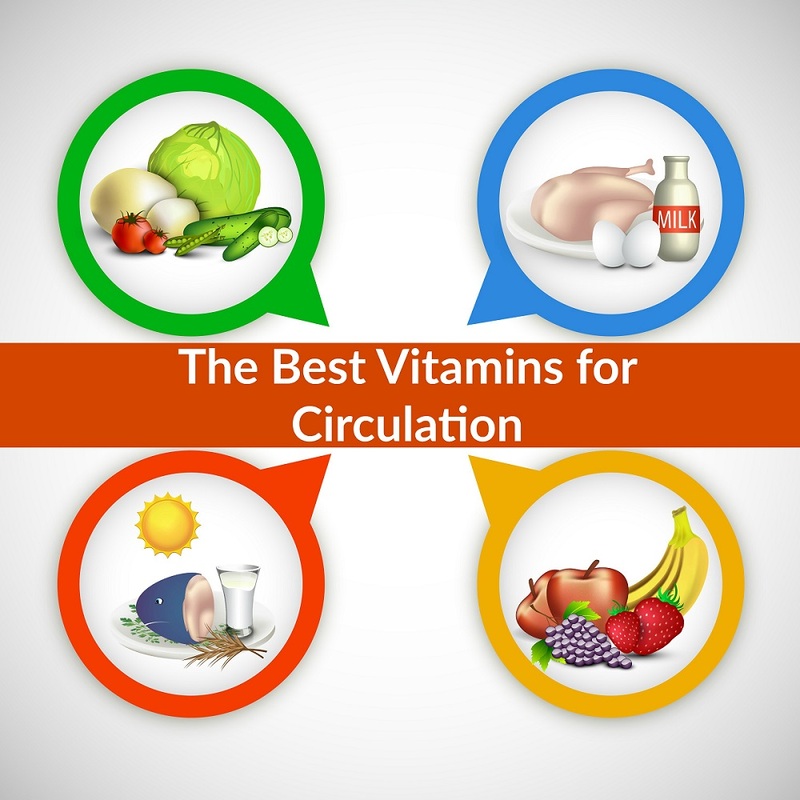 Several vitamins and nutritional supplements can promote circulation. Please talk to your doctor before taking these supplements to be sure that they are safe for you and will not interact negatively with other medication you may be taking. Most people, especially those living in northern locales, are unable to get sufficient vitamin D from the sun, and it is not available naturally in food. While this nutrient can improve circulation, you should check with your doctor before taking it to make sure that you don’t have any health problems that could be exacerbated by excess vitamin K, as it can increase clotting. Those who eat a healthy diet with plenty of fruits and vegetables may not need to supplement with vitamin C, and too-high doses can be problematic for people with kidney disease and certain genetic disorders. Supplements in liquid form tend to be more readily absorbed by the body, but sometimes have a shorter shelf life than capsules or tablets. Sublingual tablets, or tablets that dissolve under the tongue, can be a nice compromise as they have a longer shelf life than liquids but are more easily absorbed. There is little regulation when it comes to nutritional supplements, so it’s important to know your brand. Look for companies that have a positive reputation. Be sure to seek reviews other than those posted on the company’s own website or Amazon, as these can often be “plants” written by company representatives or by people receiving compensation for a positive review. Pay careful attention to the dosage amounts. More is not always better. Some supplements such as vitamin D carry a risk of accidental overdose, while others such as vitamin B-12 will simply be expelled by the body if you consume too much. Discuss optimal dosage amounts with your doctor. A blood test can help determine how much of each supplement you need to take. It is important not to overdo it when trying to change a sedentary lifestyle. Ease into exercise by taking a brisk walk every day and gradually increase the intensity of your workouts. A doctor’s advice is crucial when beginning a new exercise regimen to avoid injury. As numerous studies and personal anecdotes can attest, it can be extremely difficult to quit smoking. However, it is crucial to ensure overall health and to increase circulation. If you have difficulty quitting on your own, your doctor can prescribe medication to help deal with cravings. If your work requires long periods of sitting, such as a desk or driving job, take regular breaks to get up and walk around. Staying well-hydrated is one of the simplest things you can do to promote overall good health, and when it comes to circulation, hydration is absolutely crucial. A diet which is low in cholesterol and fat and high in fiber can help to promote heart and blood vessel health, which in turn will aid in circulation. Compression socks aid in circulation by helping the calf muscles pump blood back upward toward the heart. 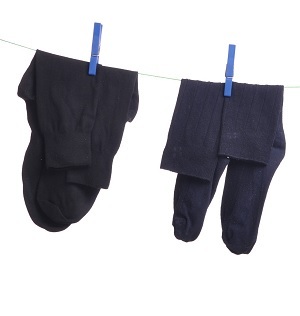 The gentle compression helps to counteract the force of gravity to keep blood from settling in the feet and legs. Compression socks may be especially important for anyone who spends long hours on their feet or who has a tendency to retain water in their legs and ankles. Poor circulation causes unpleasant symptoms and can eventually lead to some very serious health problems if left untreated. Ask your doctor if vitamin supplementation can help you, and take positive steps toward a healthy lifestyle to promote circulation and overall good health.